Posted on May 25, 2016 May 24, 2016 by Nichole S.
A shout out to my “How much money is in the money jug” winner, Beverly Bernhard, for fulfilling her promise of sending 1/2 of her winnings to the charity of her choice. Beverly selected Family Promise North Shore Boston and they were very happy to receive her donation. They do great work and I am thrilled that GMG could help with a small donation to support all that they do for the families they serve. Taste the Promise! 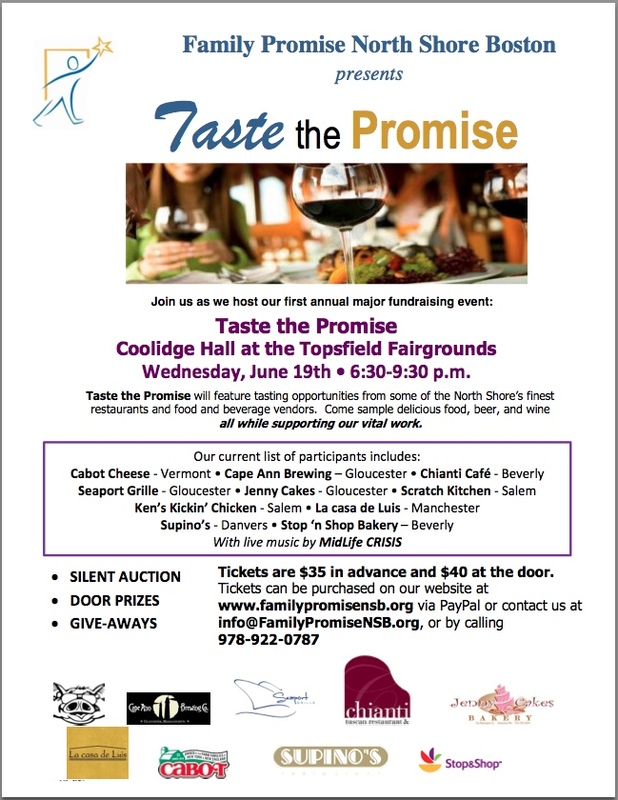 – Great food for a great cause! A very appetizing fundraiser for a very worthy cause! Family Promise helps homeless families get back on their feet by providing temporary housing and a variety of services to assist them in finding employment and permanent housing. Family Promise North Shore’s new Family Day Center is open in Beverly! As promised yesterday, here’s a slideshow of the opening ceremony and the Beverly facility itself. 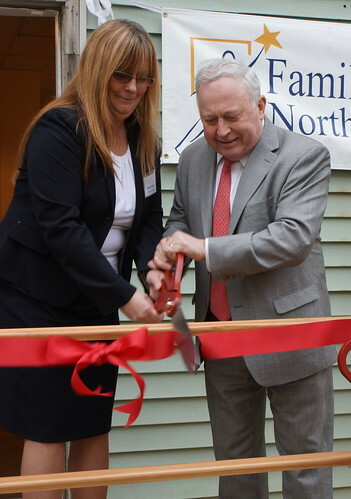 As is clear from the photos, there was a pretty good turnout for the event, including Mayor Bill Scanlon, who cut the ribbon together with Family Promise North Shore‘s Network Manager, Gloucester native Elise Sinagra. It’s great that we have this new initiative (following a nation-wide model) to help families who are homeless by offering a day center where kids and parents can spend time in a safe, sheltered environment, or where the they can have a stable temporary address for school bus pickups, job applications, etc. Several Gloucester churches are involved in the program in one way or another, either as an institution or through the volunteer efforts of their members. But help and donations are still needed!